Similarly as at our first trip, we travelled from Luzern to Zermatt via Lötschberg Tunnel. We arrived to Täsch where we parked our car in covered parking house by the train station. Zermatt is car-free village accessible only by public transport. 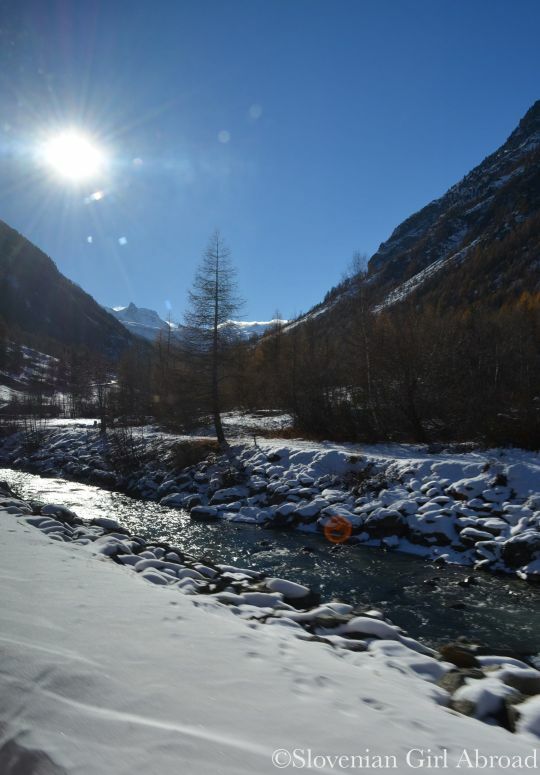 With our skis and luggage, we’ve boarded the train to Zermatt and enjoyed short scenic ride. We arrived to Zermatt a bit earlier than our friends, so we had to wait for them. When they arrived, we hired a taxi that brought us and all of our luggage to apartment we’ve rented. After settling down, we caught up by the bottle of wine. Then, we went out and stroll around Zermatt, again admiring the beauty of this little alpine village. Illuminated by Christmas lights was even prettier. Already hungry, we found the restaurant my husband and I had dinner on our previous visit. We went there and had a great dinner. 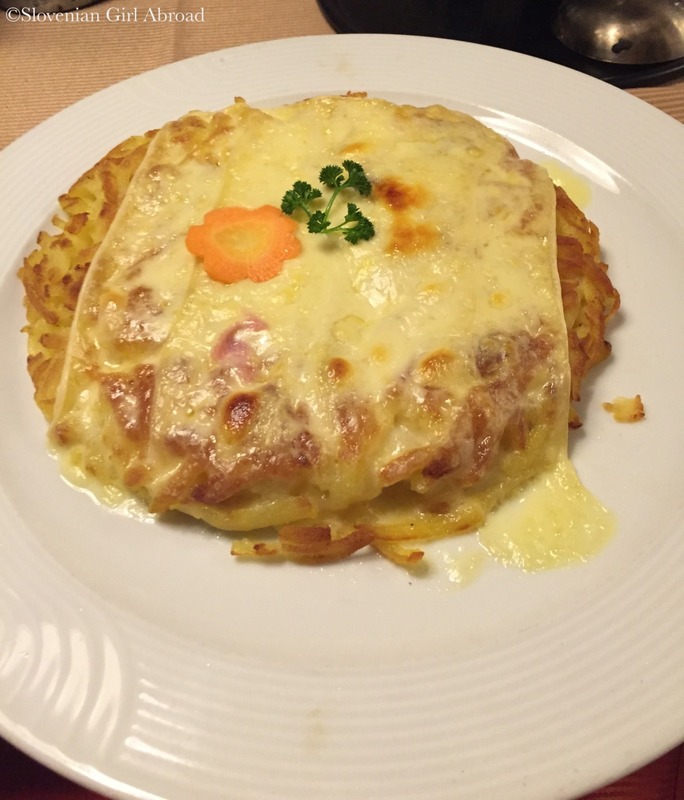 I had rösti which was delicious. After dinner we returned back to apartment and went to bed early, to recharge our batteries for the next day at the slopes. The next day, we woke up early in the morning. We ate the breakfast, change to ski gear and walk to the Sunegga station from where we ascent to the ski area. The higher we went, the more breathtaking were the views. 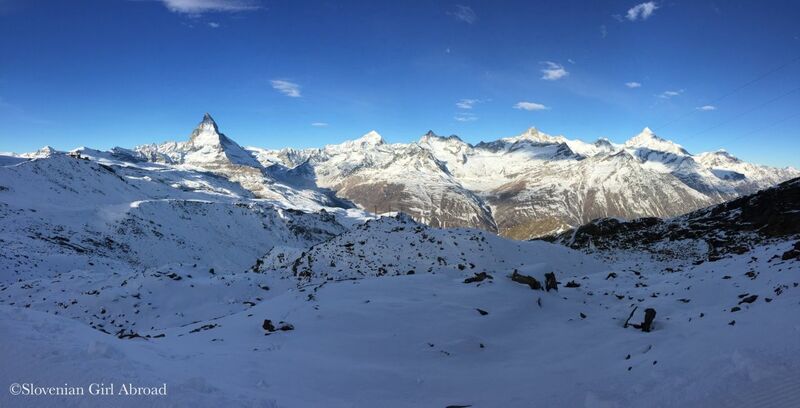 Zermatt’s ski area is at almost 4000 meters above sea level the highest winter sports area in the Alps. 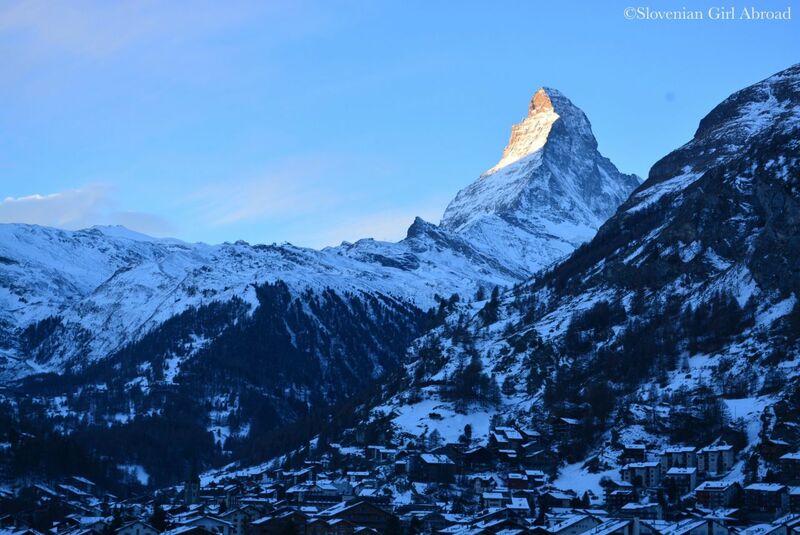 On our first visit in November, only one of four areas was open – Klein Matterhorn. This time, all four areas were open. 165 km of total total 360 km slopes were open on that day and allowed us to spend an amazing day on skis. From Sunegga area we’ve skied all the way to Klein Matterhorn via Gornergrat. The ski slopes between Sunegga and Gornergrat were nearly empty and we had them all for ourselves. It was simply amazing. 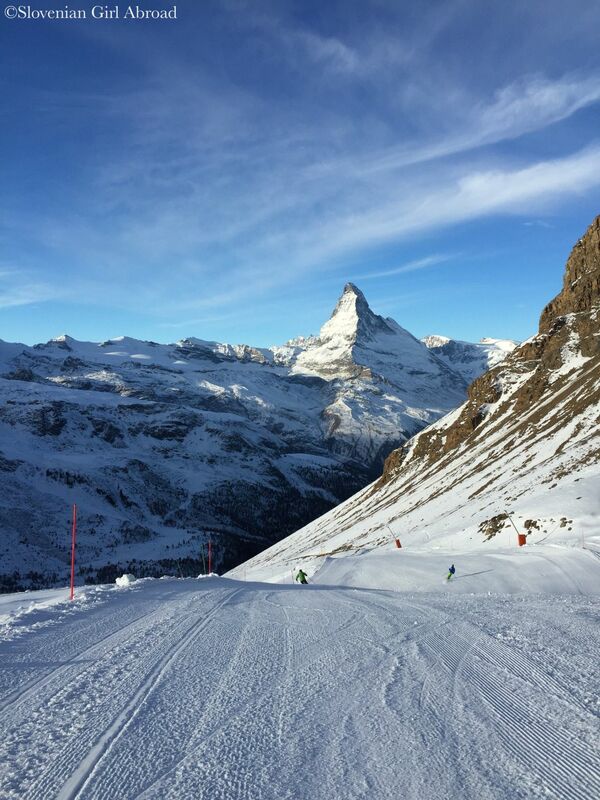 Skiing in Zermatt was a pure pleasure the first time, the second time was even better. Sun was out, pistes were well prepared and the conditions were ideal. 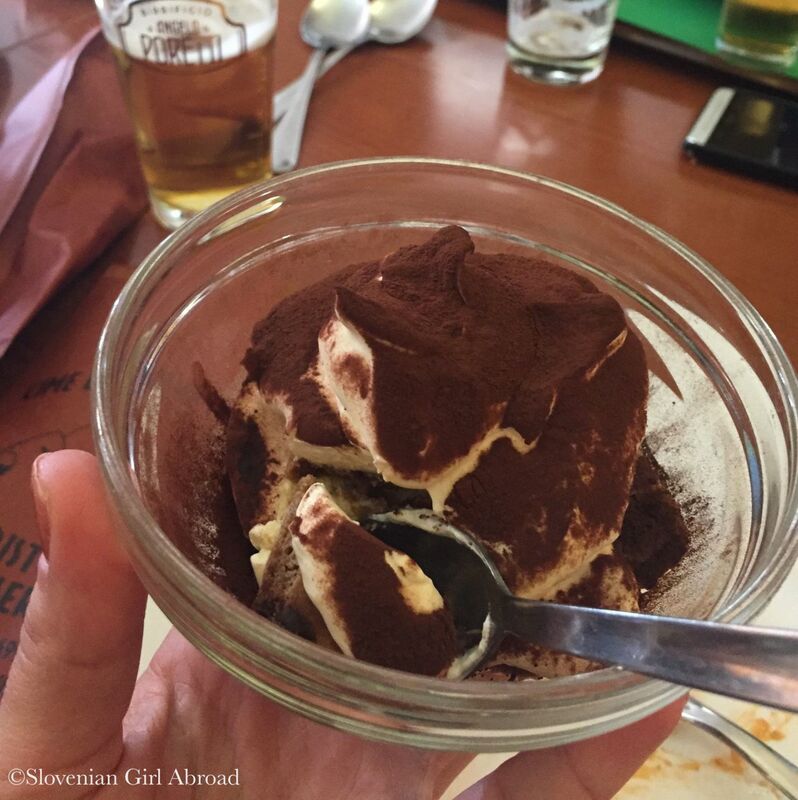 We’ve also skied the Italian part of ski resort and had a delicious lunch at the restaurant: lasagne and tiramisu. I couldn’t resist the desert. Tiramisu was the best I’ve ever had. After a great day at the slopes, we returned back to apartment. We refreshened ourselves and packed our things. We bid goodbye to our friends who stayed in Zermatt for few more days, and left with new great memories. What a fabulous little skiing holiday. I love your photos. You also write a nice story. 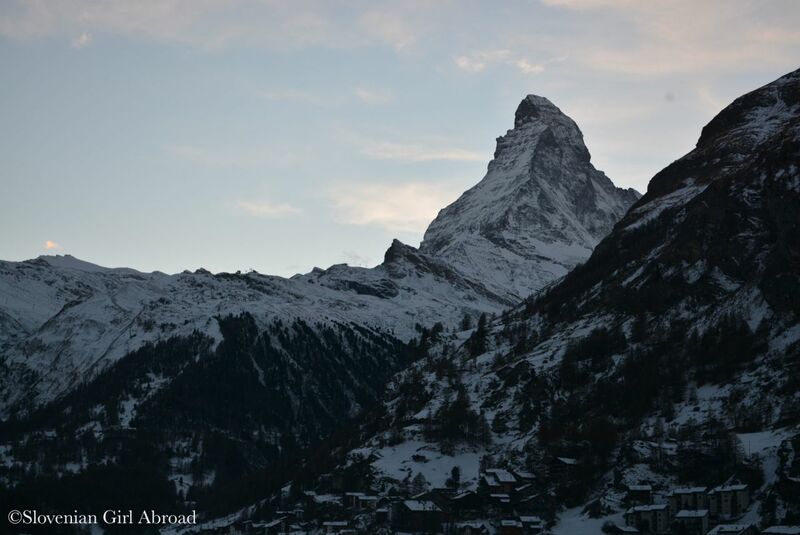 I can see why you both love Zermatt. The views are absolutely spectacular! 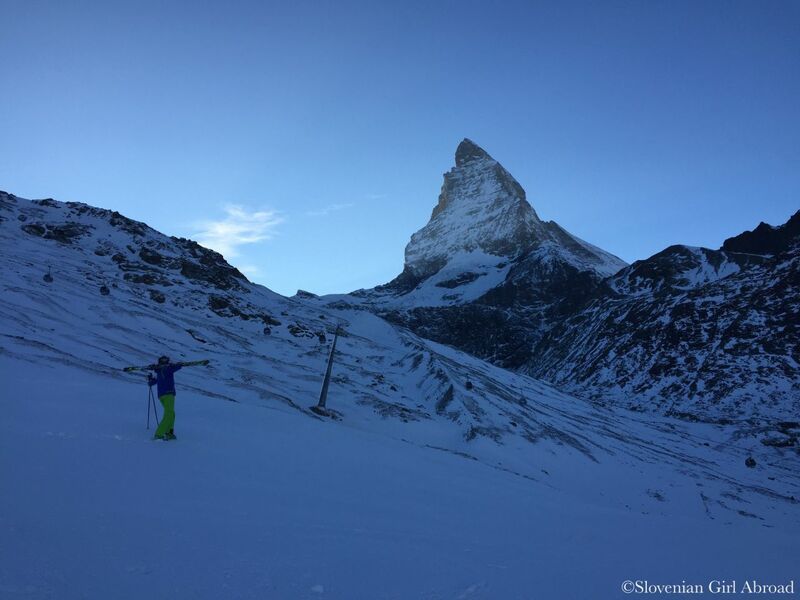 Skiing while looking to iconic Matterhorn? How great is that!! 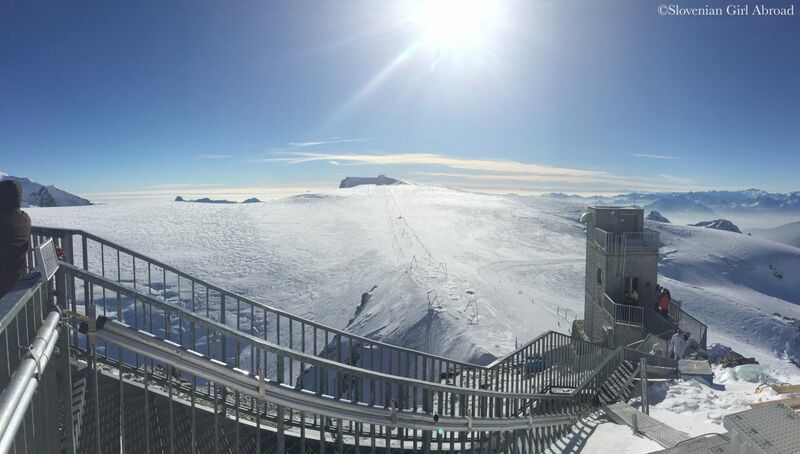 The panoramic views are indeed amazing! Switzerland is AMAZING! This is incredible! Such a perfect getaway!! I really want to visit Zermatt one day. You are welcome to Switzerland any time! 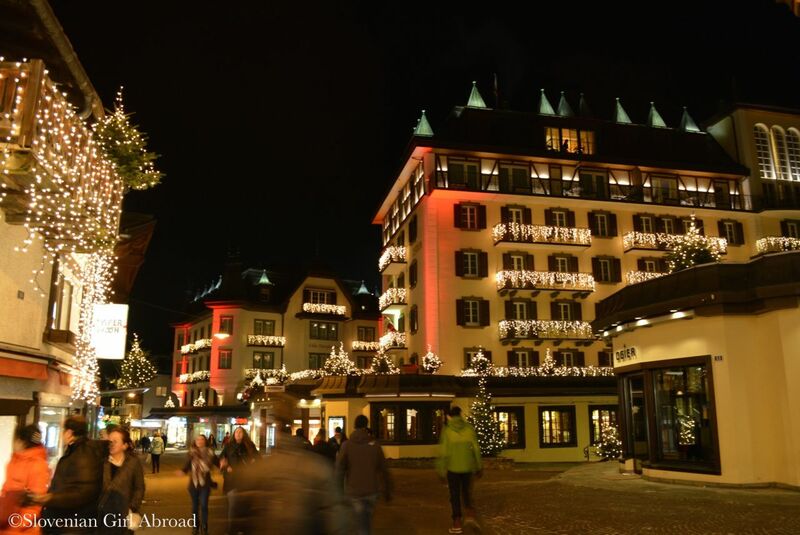 We love Zermatt too – for next time a lovely place to visit, eat and ski is in the Saanenland (Gstaad, Saanen, etc.). Thank you so much for stopping by and visiting my blog; thingsunderstood.wordpress.com. Your interest and support are really appreciated!! This looks like so much fun! The views are incredible, I think I would crash on skis because I would be so distracted by the beautiful mountain views.